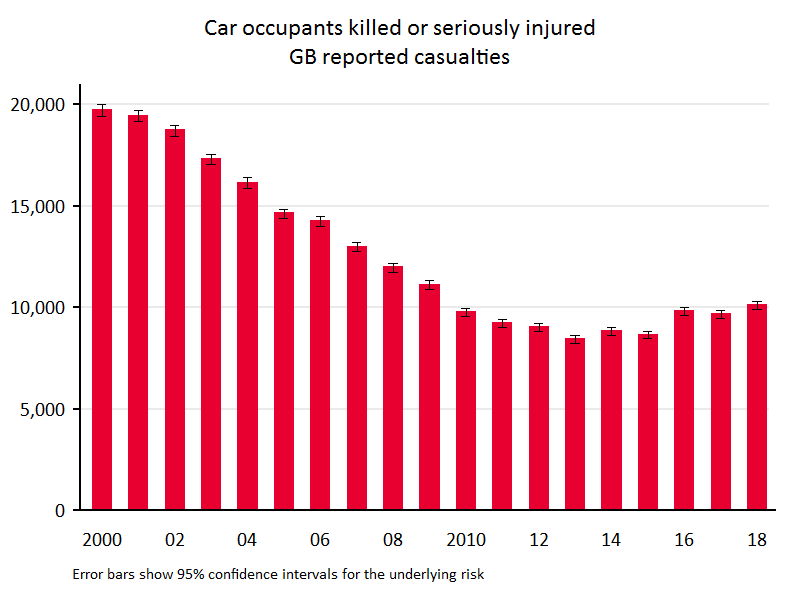 The latest Department for Transport reported road casualty figures (for 2016) were released in September 2017 (covering England, Scotland and Wales). This report gives some detailed analyses of the following data. 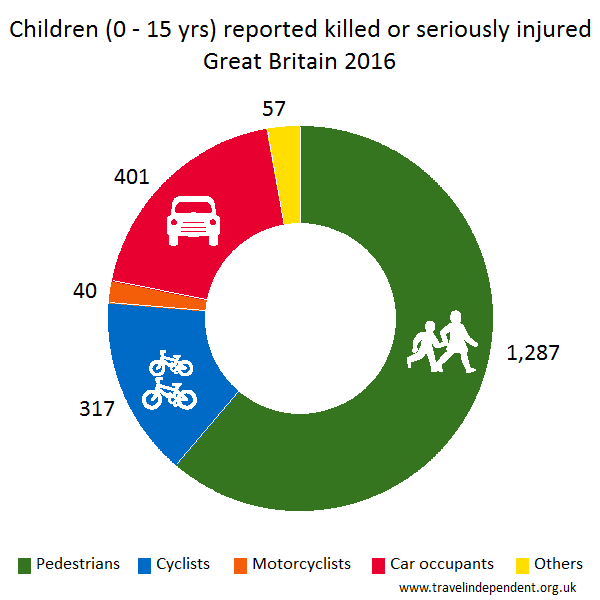 The pie chart shows the breakdown by mode of travel for children reported as killed or seriously injured (KSI) during 2016. 'Children' are defined as 0 - 15 years. 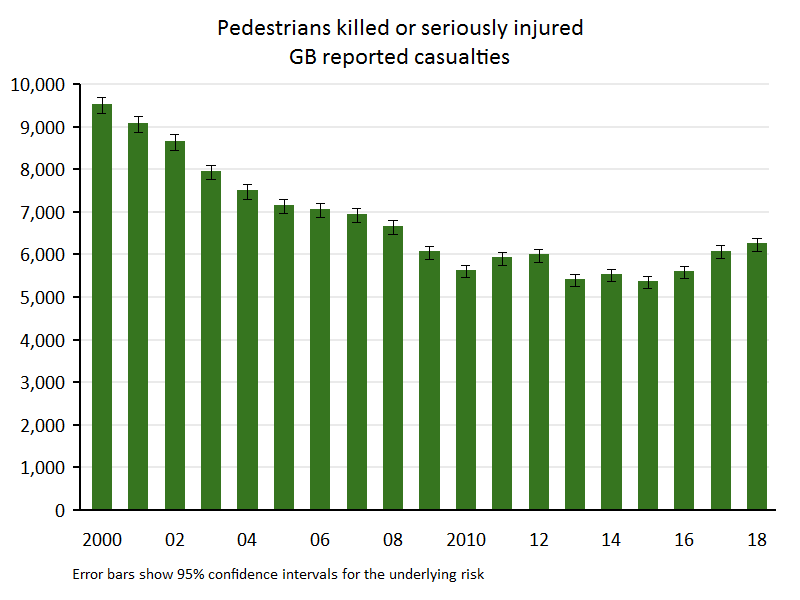 The totals of reported child pedestrian and child cylist KSI casualties have fallen, but so too have the mileages walked and cycled (with an increase in obesity), and so it is not clear that roads have become any safer for children. 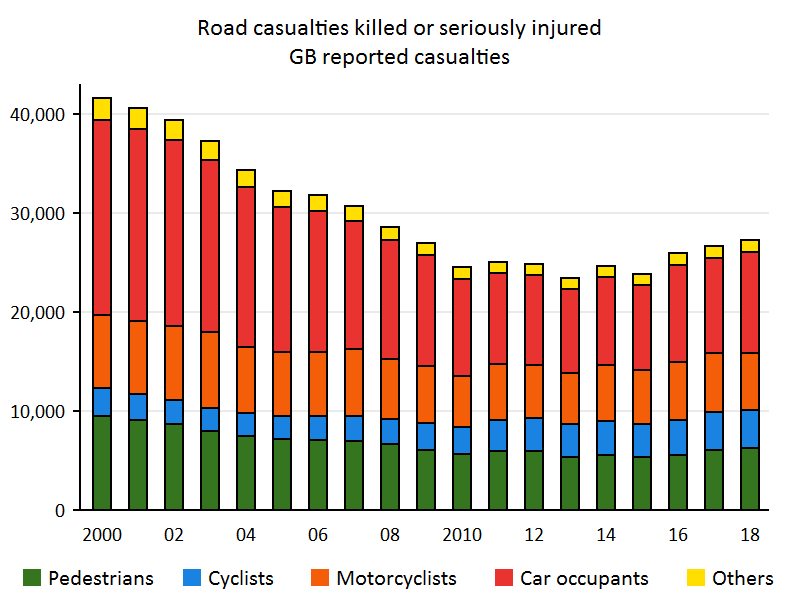 The charts give the numbers of reported casualties for each mode of travel by year (except for the bottom right chart, which gives the percentages of the total). The 'error bars' show the 95% confidence intervals - read more on confidence intervals here including why they are needed when interpreting charts. 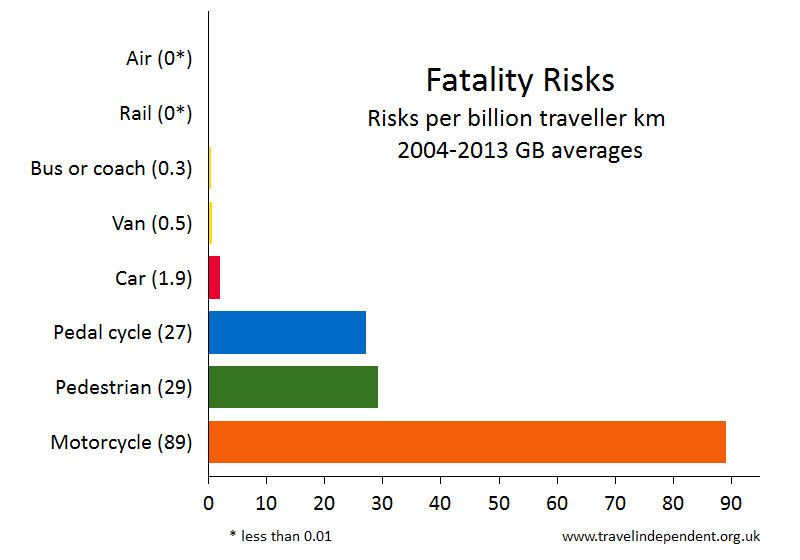 The bar chart plots DfT figures for risks per km taken from the DfT annual report . 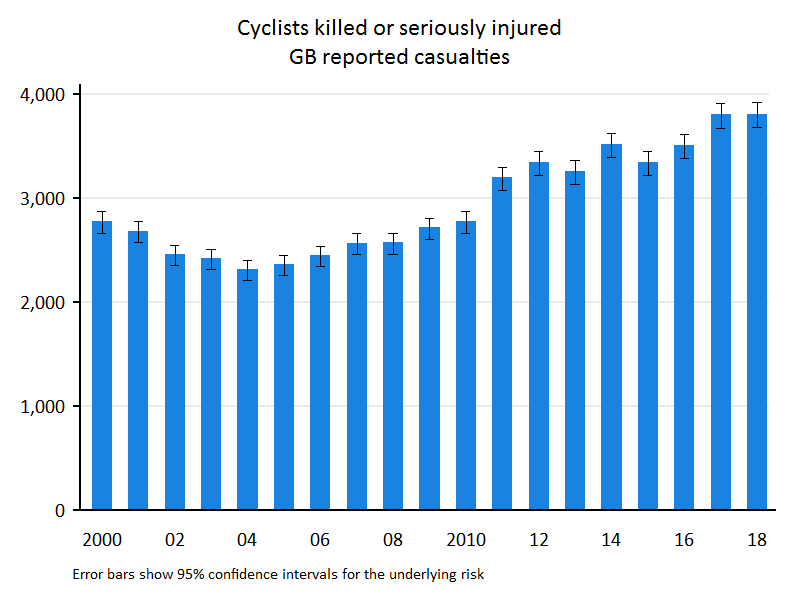 The data summarised here is the STATS19 data collected by police forces and published annually by the DfT. The figures are taken from the reports listed on the links page or from analysis of the DfT database. 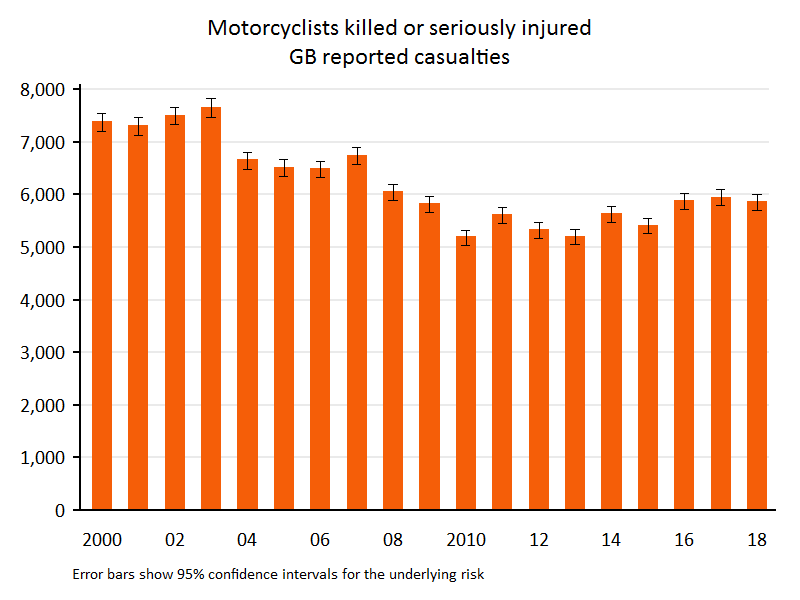 Almost all road deaths are reported, but some serious injuries are not reported and only a minority of slight injuries are reported - see the discussions in the annual DfT reports. 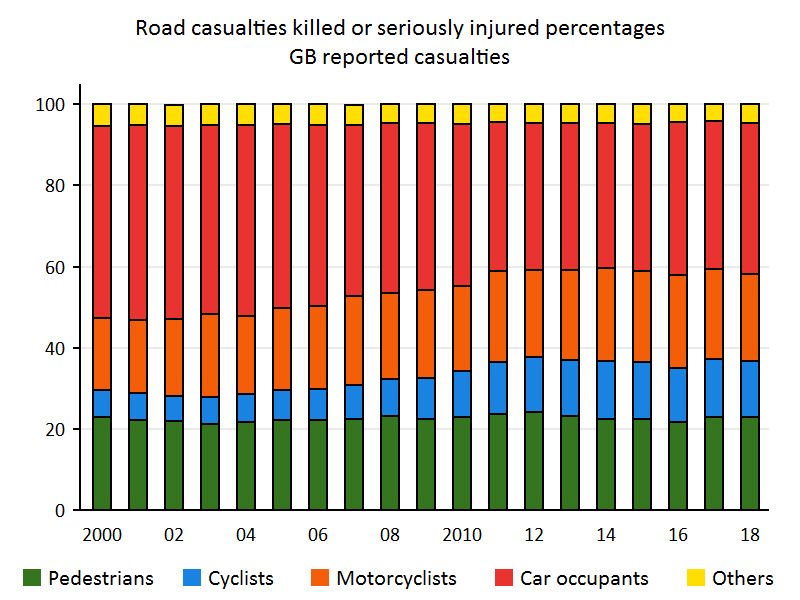 Passenger casualty rates for different modes of travel (RAS53) https://www.gov.uk/government/statistical-data-sets/ras53-modal-comparisons or from here. View charts and tables for individual local authorities or for individual police areas.